St. Paul’s Anglican Church participated in the Bells of Peace initiative today, ringing its bell 100 times to mark the centenary of the end of World War I. 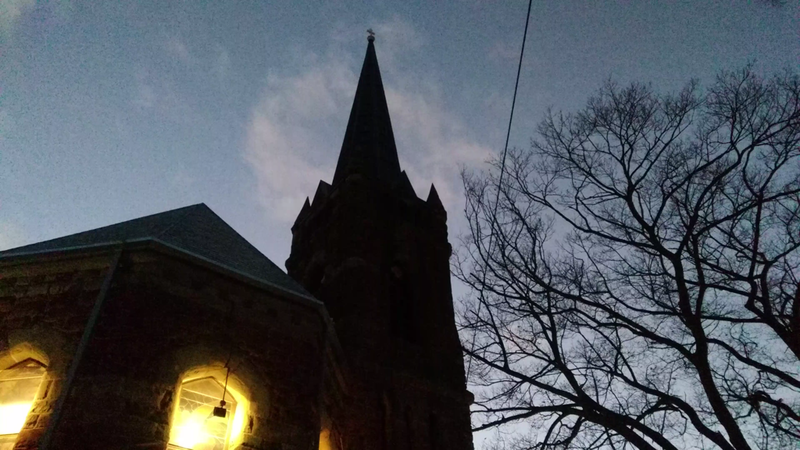 The church generously offered the opportunity to ring the bell to all comers, so Oliver and I lined up, at sunset, with a diverse group, parishioners and otherwise, for our chance. The stairway up the bell tower turned out to be far more civilized than I imagined, and it was an easy climb up the stairs. We were each given the chance to ring the bell twice; I recorded Oliver’s second go. Written November 11, 2018 at 5:18 p.m.